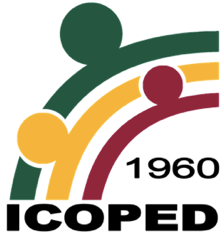 ICOPED holds the International Conference on Cooperatives (ICOOP) every three years as part of its commitment and advocacy to promote national and global cooperative development. ICOOP was first held in November 2012 during the International Year of Cooperatives and is now on its third round. Establishing linkages and promoting collaborations among cooperatives and related sectors. At the end of the conference, we hope to contribute to the driving forces of cooperative transformation, creating resolution towards strengthening the cooperative movement and building opportunities to become a sustainable sector. ICOOP2018 Paper Presenters can still submit FULL PAPERS to icoop@up.edu.ph until December 17, 2018. All submitted papers will be published in the ICOOP2018 Book of ICOPED. Upon initial review of the ICOOP2018 Scientific Paper Committee, selected exemplary papers may be recommended to the editorial board of the Journal of Economics, Management and Agricultural Development (JEMAD) of CEM, UPLB for further blind peer review for possible publication in JEMAD.​ Accepted papers will be published as a journal article in JEMAD. Our full paper format will follow the JEMAD Guidelines. Click here. Plenary Presentations are now available. ICOOP2018 photos are now available. Synthesis of ICOOP2018 is now available.